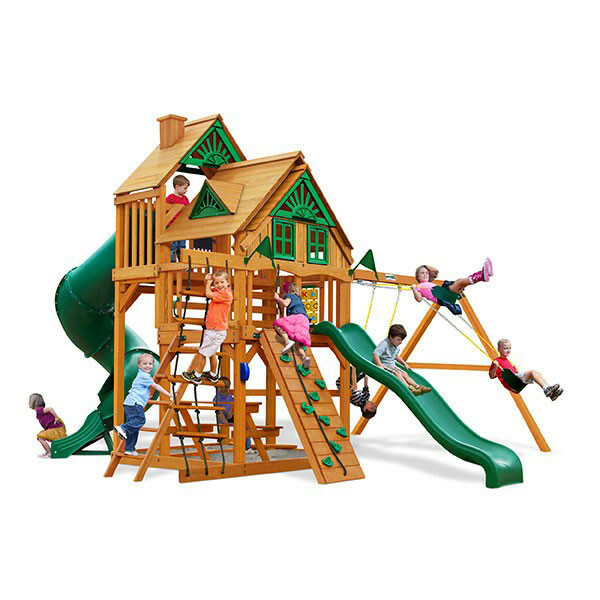 Tons of fun jammed into one swing set that is compact enough to fit even the smaller backyards, the Gorilla Playsets Great Skye I Treehouse is a must-have. 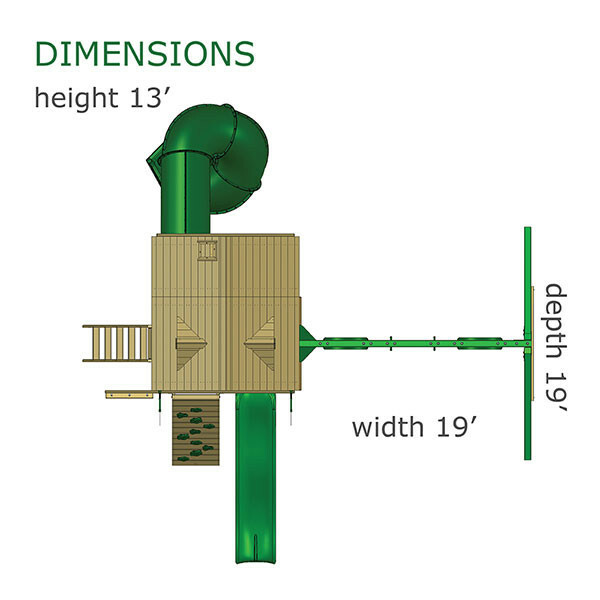 The first thing you’ll notice is the two levels included in the upper treehouse that make it unique from many other playsets. The upper level is 7 feet high so there’s plenty of room for the super-fun tube slide. The lower level is covered by the new treehouse style roof with windows and working shutters. After climbing to the treehouse kids will find a tic-tac-toe panel, steering wheel, binoculars, chalkboard, telephone, and telescope for all of their imaginative play. Other great features included in the high-quality Great Skye I Treehouse are a belt swing, trapeze bar, and two-person glider swing attached to the 4x6 swing beam. Climbing is a great form of exercise and can be done on the rock wall, rope ladder, or standard safety ladder. Along with the wave slide kids will also find fun in the sandbox or built-in picnic table. 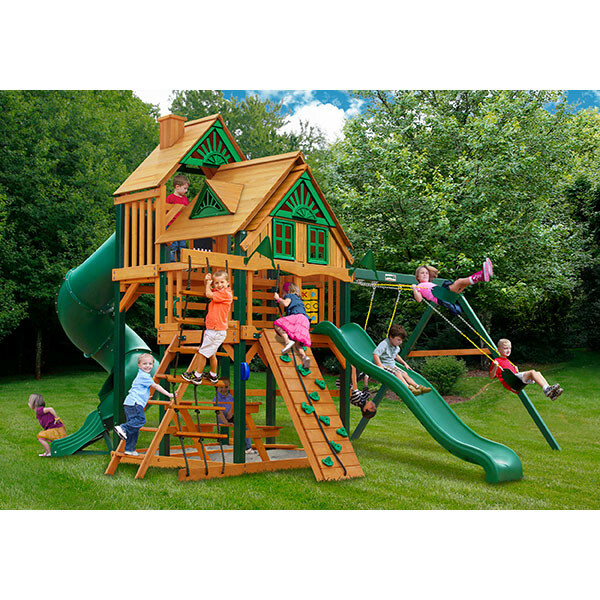 Adults will love this playset about as much as the kids because it comes with all of the lumber and hardware needed for do-it-yourself construction. Assembly is easy with the illustrated instructions and the choice between amber posts and timber shield posts gives customers to give it the look they want.